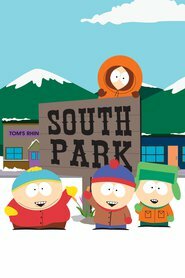 Lives… in South Park, Colo. Cartman usually hangs out with his bus-stop frenemies Kyle, Stan, and Kenny. Cartman particularly dislikes Kyle, and they are constantly at each other’s throats. The four of them tend to get along best in the land of make-believe – playing World of Warcraft or dressing up as denizens of Middle Earth or ninjas. Interests… KFC, Taco Bell, Pizza Hut, and Cheesy Poofs. Relationship Status… single. Cartman’s female classmates find him repulsive, just like Kyle, Stan, and Kenny do. Cartman’s only reliable friends are his favorite stuffed animal, Clyde Frog, and his cat, Mr. Kitty. Challenge… getting what he wants by any means necessary. Cartman has no moral compass whatsoever. If he wants something, he will resort to extreme measures to attain it. He pretends to be mentally retarded in order to qualify for the Special Olympics and the $1,000 prize, only to come in dead last in the 100-yard dash. Though always ungracious in defeat, he is able to brush it off quickly such that a week later, he’s already hatched another nefarious plot. Personality… “fat, racist, self-centered, intolerant, manipulative sociopath” according to Kyle. 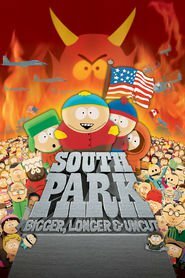 Cartman despises gingers, hippies, and Jews, and has attempted at various points to exterminate them. He is a natural leader and skilled orator, which is a double-edged sword because he uses these powers to exploit others to do his bidding, whether it be an angry mob or his pal Butters. He’s a sadistic tub of lard and he doesn’t know it – or if he does, he doesn’t care. Who knows what he’ll grow up to be, but “well-adjusted adult” isn’t the front-runner. Eric Cartman's popularity ranking on CharacTour is #194 out of 5,000+ characters. See our top-ranked characters and read their profiles.